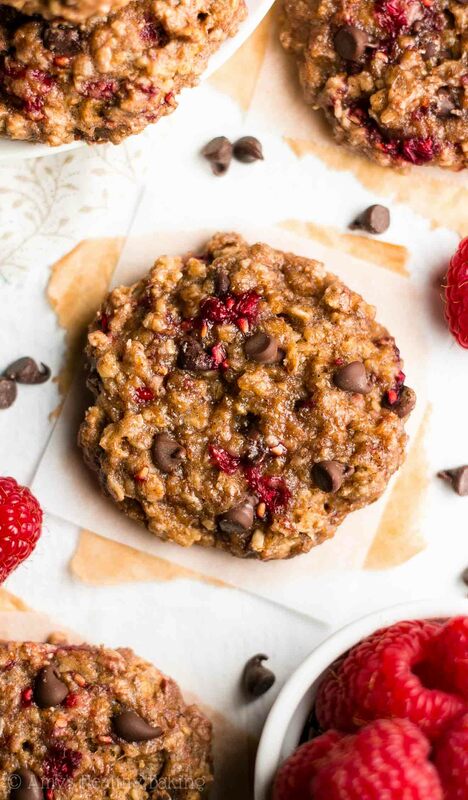 Soft & chewy oatmeal cookies full of juicy fruit & melty chocolate chips. 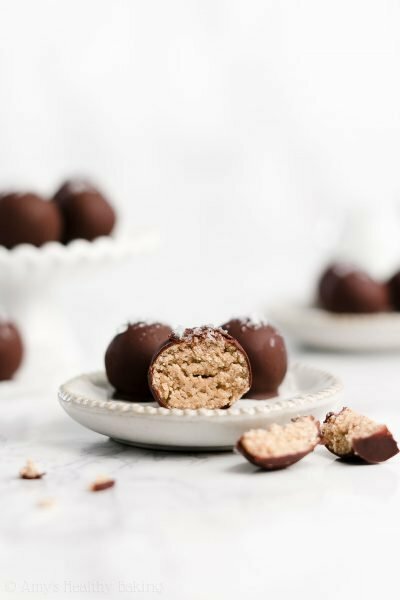 They’re really easy to make & just 100 calories—but they don’t taste healthy at all! On Super Bowl Sunday, I woke up to the sun shining, birds chirping outside my window, and a weather report that predicted a high of 70°F for the first time this year. I nearly jumped out of bed with joy—I love when warm spring-like days come this early! I sat on the patio in one of our wicker lounge chairs, slowing sipping my favorite smoothie (← I drink that every single day!) while enjoying the quiet calm of the morning before the football festivities began. Although I planned to plant myself at my desk afterward and catch up on a little blog work before the big game, I decided to rearrange my schedule instead. With weather that gorgeous, it’s practically a crime not to spend as much time outside as I can! So I threw on shorts and headed out for a long walk around the neighborhood. Surprisingly enough, I passed absolutely no one while wandering the residential streets… Everyone must have been inside prepping for their parties, but by the smell of charcoal wafting from a few homes’ backyards, at least a few families had already started flipping burgers for their guests! 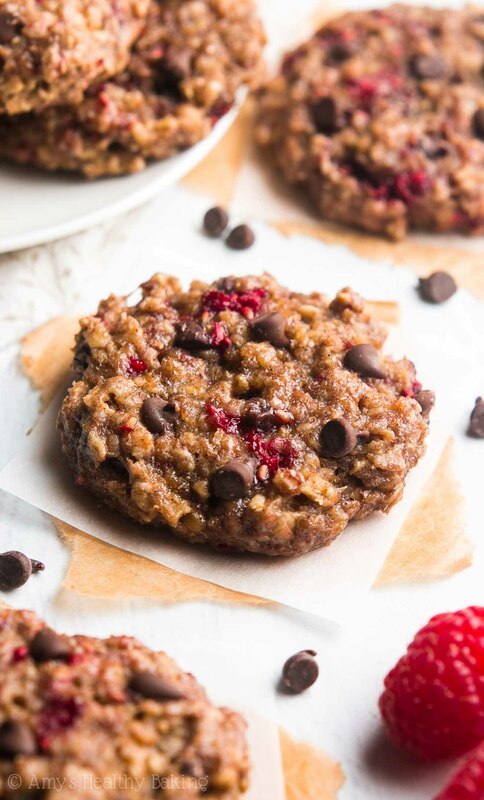 I spotted an overflowing carton of juicy berries in the fridge and baked these Raspberry Chocolate Chip Oatmeal Cookies to nibble on during the Super Bowl! They’re soft, chewy, and full of the same sweet sunshiny flavors of spring and summer that I had felt walking around the neighborhood. 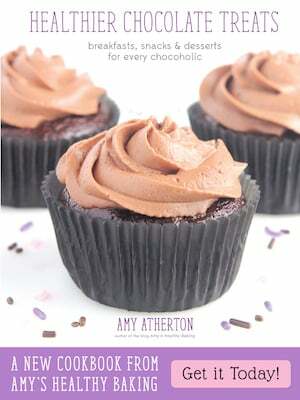 Plus they’re made with entirely wholesome ingredients, so they’re really healthy and basically guilt-free! 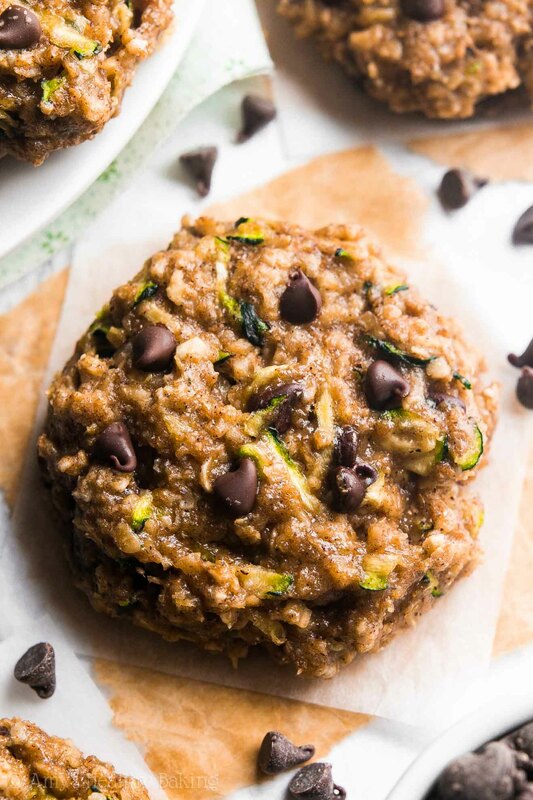 These cookies are the next installment in my clean eating oatmeal cookies series. ← Have you tried any of those recipes yet? They’re some of the most popular ones on my blog—and for a good reason! The cookies contain no butter, refined flour or sugar, yet they’re still just as soft and chewy as traditional recipes. The carrot cake, apple pie, and classic oatmeal raisin recipes are readers’ top three favorites! 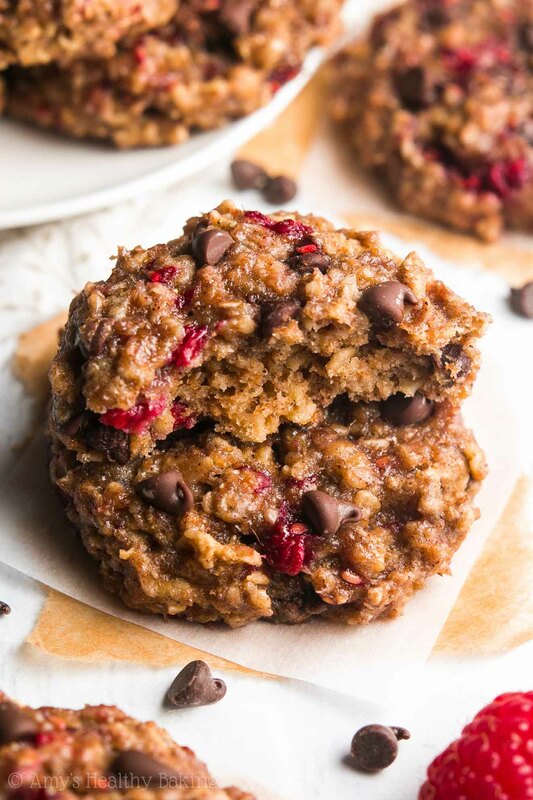 Just like all of the other recipes, this one begins with whole wheat flour and instant oats. Instant oats are also called quick-cooking or one-minute oats. They’re not the little individual-serving brown paper packages! Instant oats are sold in large canisters right next to the old-fashioned oats at the grocery store. It’s very important that you measure both the flour and oats correctly, using either the spoon-and-level method or a kitchen scale. 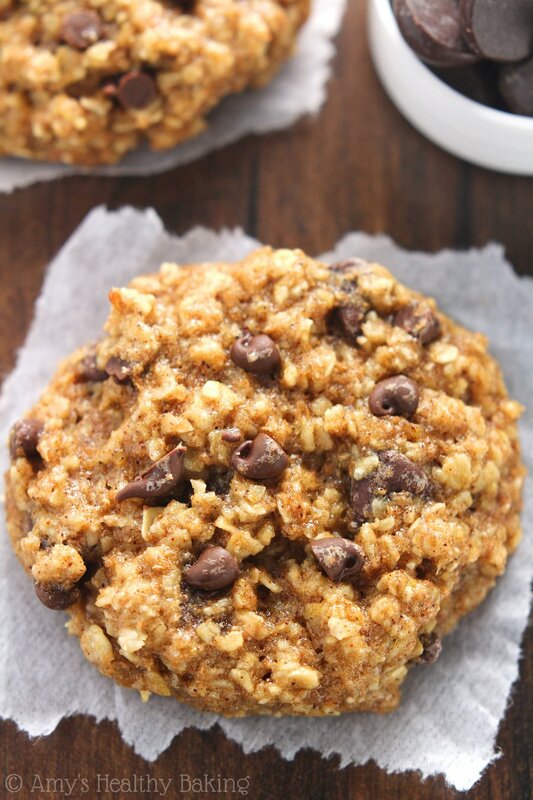 Too much of either ingredient, especially the oats, will dry out your cookies and make them taste cakey or bready. 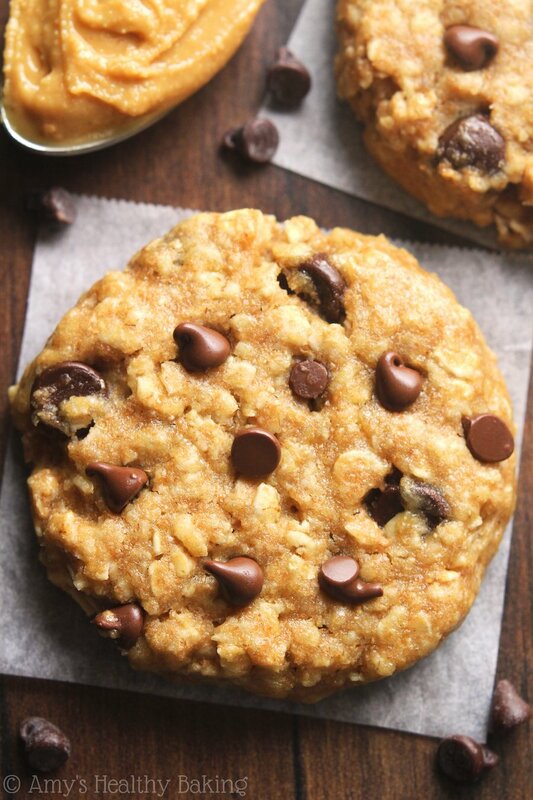 Oats act like little sponges and soak up lots of moisture in the cookie dough! I highly recommend a kitchen scale for measuring. This is the inexpensive one that I own, and I use it for measuring ingredients in every recipe that I publish on my blog because it ensures all of my treats turn out with the perfect taste and texture every time. Now for the best part… The mix-ins! Aren’t those everyone’s favorites? Or just mine?… Either way, you can’t deny that they make the cookies better! 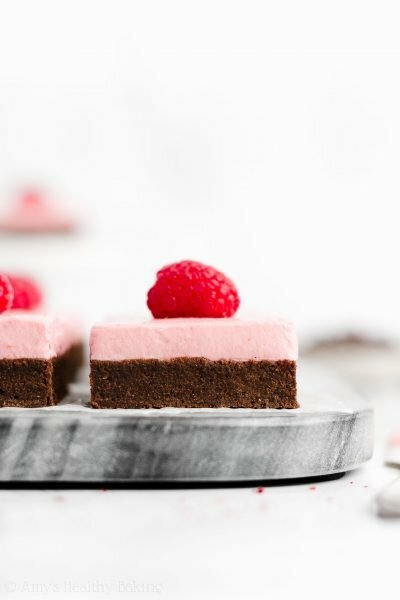 You’ll use fresh raspberries and mini chocolate chips. Frozen and thawed raspberries will work in a pinch, although they may slightly affect the baking time. I prefer using mini chips because they ensure that every bite contains at least a little bit of chocolate! Ghirardelli minis are my standard go-to since they melt really well and taste so good fresh from the oven! 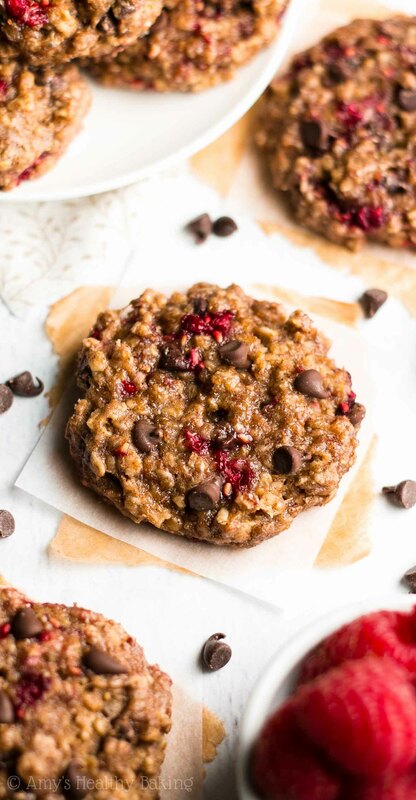 These cookies are absolutely irresistible! 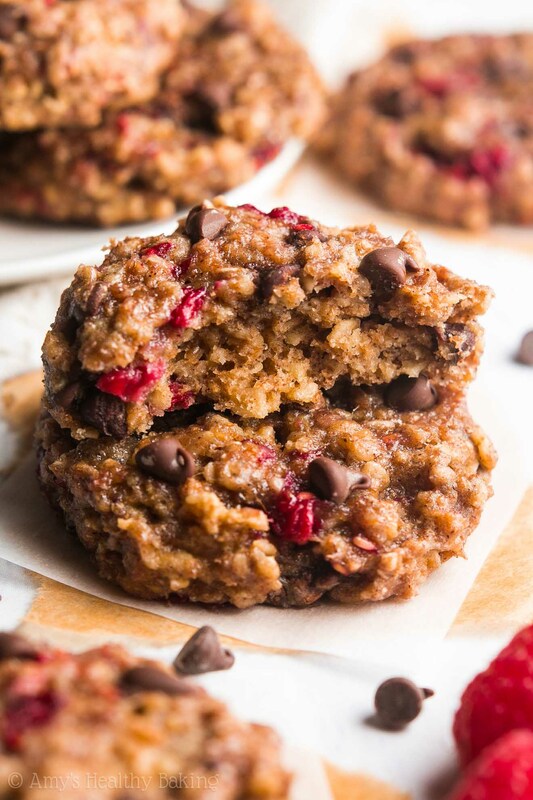 They’re soft, chewy, and full of sweet berries and melty chocolate chips. What’s not to love?? Leftovers will stay fresh for at least four days if stored in an airtight container on the counter or a week if stored in an airtight container in the refrigerator—if they last that long! Whisk together the oats, flour, baking powder, cinnamon, and salt in a medium bowl. In a separate bowl, whisk together the coconut oil, egg, and vanilla. Stir in the maple syrup. Add in the flour mixture, stirring just until incorporated. 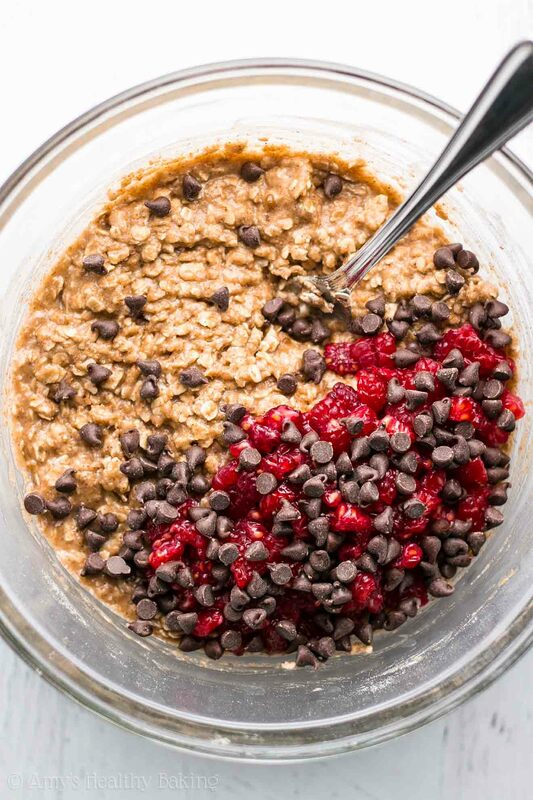 Gently fold in the raspberries and 2 tablespoons of the chocolate chips. Chill the cookie dough for 30 minutes. Preheat the oven to 325°F, and line a baking sheet with parchment paper or a silicone baking mat. Drop the cookie dough into 15 rounded scoops onto the prepared sheet, and flatten to about half of their original height using a spatula. Gently press the remaining miniature chocolate chips into the tops. Bake at 325°F for 10-12 minutes. Cool on the pan for 10 minutes before transferring to a wire rack. 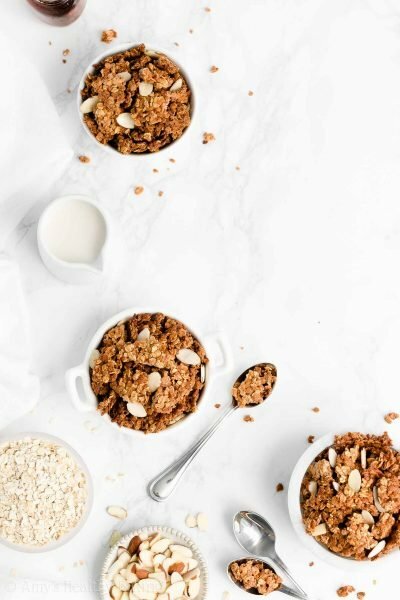 Notes: It’s extremely important to measure both the oats and flour correctly using the spoon and level method or a kitchen scale. Too much of either will dry out the cookies and leave them crumbly instead of chewy. Instant oats are also known as quick-cooking or minute oats. They come in large canisters, just like old-fashioned oats. They are not the ones in the small flavored packets of oatmeal. To make your own, add the same amount of old-fashioned oats to a food processor, and pulse 10-12 times. 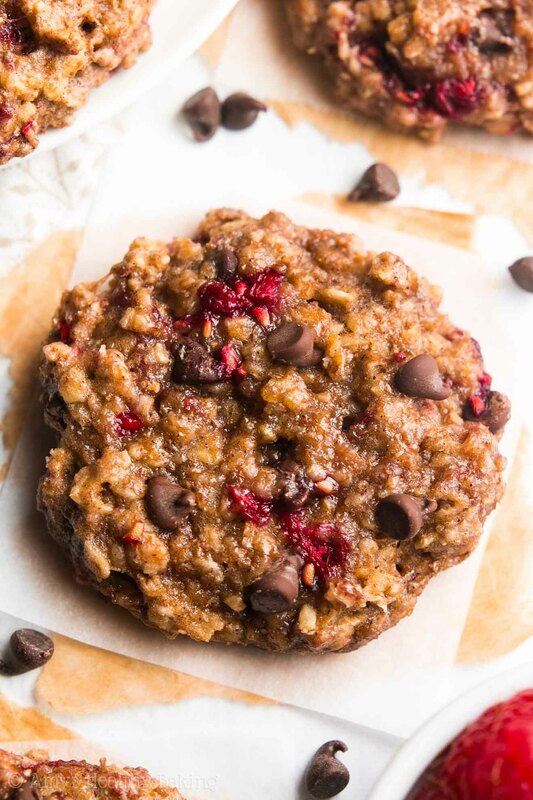 For a gluten-free version, use gluten-free instant oats and the following gluten-free flour blend: ½ cup (60g) millet flour, 2 tablespoons (15g) tapioca flour, 2 tablespoons (17g) brown rice flour, and ½ teaspoon xanthan gum. Frozen and thawed raspberries may be substituted for the fresh raspberries. The baking time may vary slightly. For more tips and answers to all other questions, including substitutions, see my Oatmeal Cookie FAQ page. I am looking forward to trying these! By any chance would you recommend using frozen raspberries? Not quite fresh raspberry season but I’d still love to try them! Not sure how that substitution would work out. I actually answered that question already in the Notes section underneath the Instructions! 🙂 I can’t wait to hear what you think of these cookies Krista! Hi! Thank you so much for all your recipes! How long will these cookies stay fresh? And do you think I can freeze them? I really appreciate your interest in my recipes Sarah! I’ve actually answered the first question in the description underneath the recipe title in the recipe box. It can be easy to miss! These cookies also freeze really well. 🙂 I can’t wait to hear what you think of them! Thank you so much for your answer! I saw your advice on how to keep them fresh just when I asked you… Sorry 😀 but great that I can freeze them! I made them this weekend and I L•O•V•E THEM!!! They are amazing! Even my boyfriend loves them and he hates every healthy-ish cookie. Thank you so much! 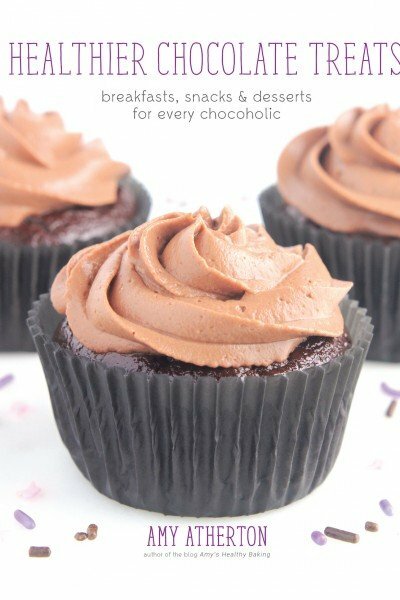 I just found this recipe through Pinterest! I have some raspberries that I need to use up before they go bad. I don’t have any maple syrup. Would I be able to substitute the same amount of honey in? Or would it be a different amount? I really appreciate your interest in my recipe Katelin! I’ve actually answered that on my Oatmeal Cookie FAQ Page, which is linked to in the Notes section underneath the Instructions. It can be easy to miss! 🙂 I can’t wait to hear what you think of these cookies!! They tasted wonderful, but wound up with a greenish grey color, which I’m assuming had something to do with the oats and raspberries mixing? The finished product didn’t look very pretty, but they were devoured by friends and family FAST! I’ve already been asked to make these again, but maybe next time I’ll add a bit of cocoa to try & mask the color, haha! I’m so glad everyone enjoyed these cookies Brian! The discoloration is only due to the raspberries. 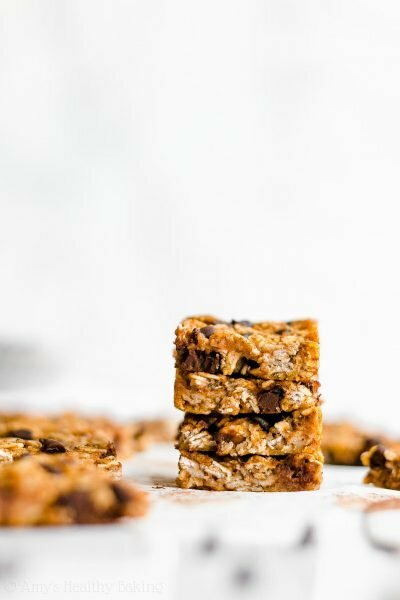 I’ve had that happen to me in a variety of recipes — from these oatmeal cookies to pound cakes to muffins to scones. I’m still trying to figure out why… But I’m guessing it might be using out-of-season raspberries or raspberries that come from a certain geographical region where the soil is different. Just two guesses — I could be totally wrong! 😉 But like you saw, the color doesn’t affect the flavor, thank goodness! I’ve made a few of your cookie recipes and every time I do, the cookies never spread out. I follow the recipe exactly but no matter what, they always keep their shape…What am I doing wrong? Thanks in advanced! I’m made the almond joy (many times!) and banana monster cookies. neither have spread, I love them regardless, I just didn’t know if I was doing something wrong.